Working in marketing and for a retail company means I've pretty much been thinking about Christmas since July... Despite the hours of effort and work on Christmas campaigns and the likes, it's really only now that I've started to get into the Christmas spirit and starting to look forward to the big event *cough cough Christmas dinner*. Looking for presents for so many different people like brothers, sisters, mums, dads, partners friends, etc etc can be a bit difficult, especially when there is ALWAYS that one person you have no idea what to get them. Even though you love them and you're close to the there is no doubt that - These. People. Are. A. Nightmare. It can take what is meant to be an enjoyable experience into the annual stress purchase at the last minute. 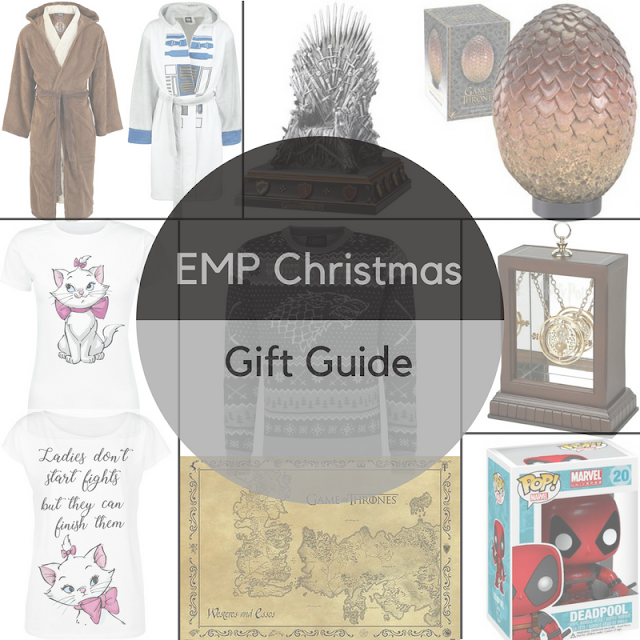 To make things a bit easier, I've listed some items from EMP that I think could be the perfect surprise for someone who may be not so perfect to buy for! 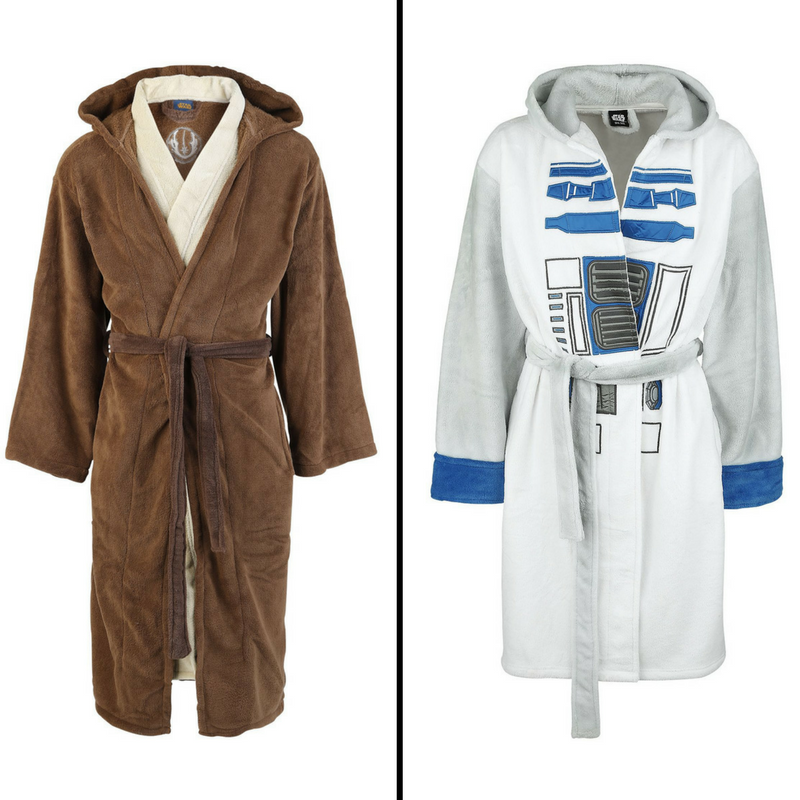 Star Wars House Coat: I don't want to get into the house Coat v dressing gown v bath robe argument here but look at these! It's become a bit of a tradition in my family now to get some form of pyjamas or nightwear at Christmas time and, really, who wouldn't want to wake up slightly hungover on boxing day and feel like a Jedi? Game of Thrones: Sorry to mention it. 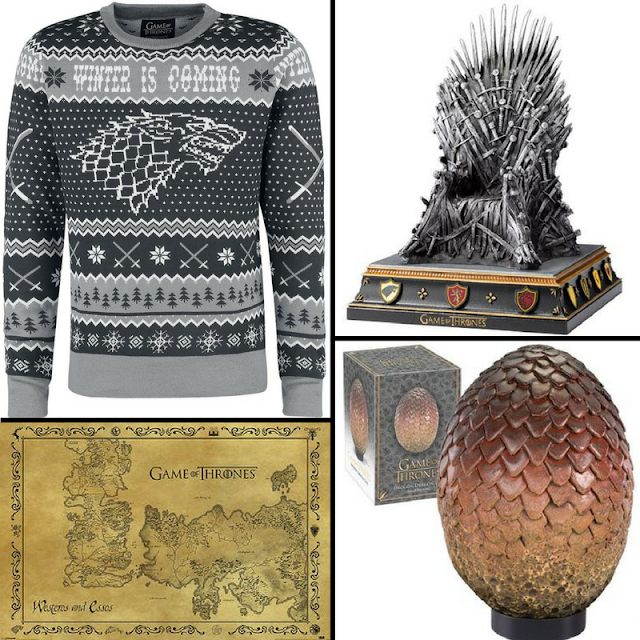 I know we're all in pain waiting for Season 8.... With loads of bits that could be the main presentation or a stocking filler/secret Santa, there's sure to be something for the GoT fan. 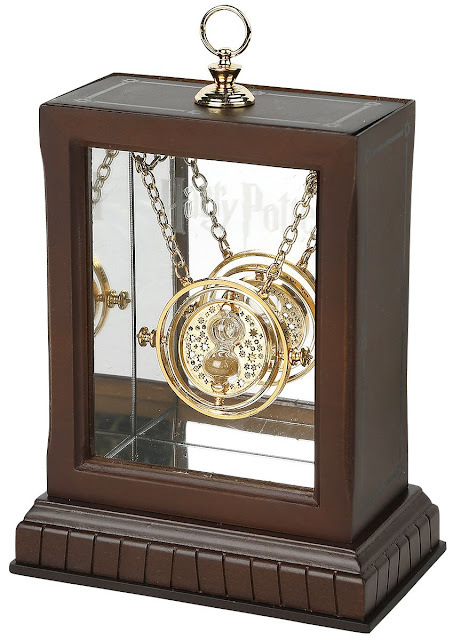 Harry Potter Time Turner: Not going to lie, I saw this and thought it would be great for when Colours & Carousel and me get a place together. Although not everyone knows what it was if they saw it sitting on your shelf, it would definitely look pretty cool! Deadpool Bobble-Head: For every big film or TV series there is now there always seems to be these bobble-heads! 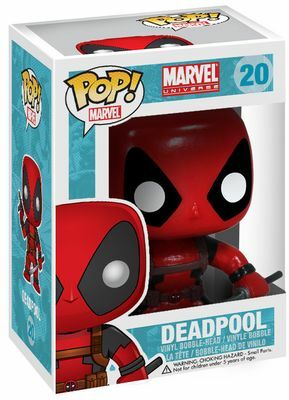 I know some people collect them so it would definitely be a good addition to anyone's collection or even as a standalone for someone that just loves Deadpool. 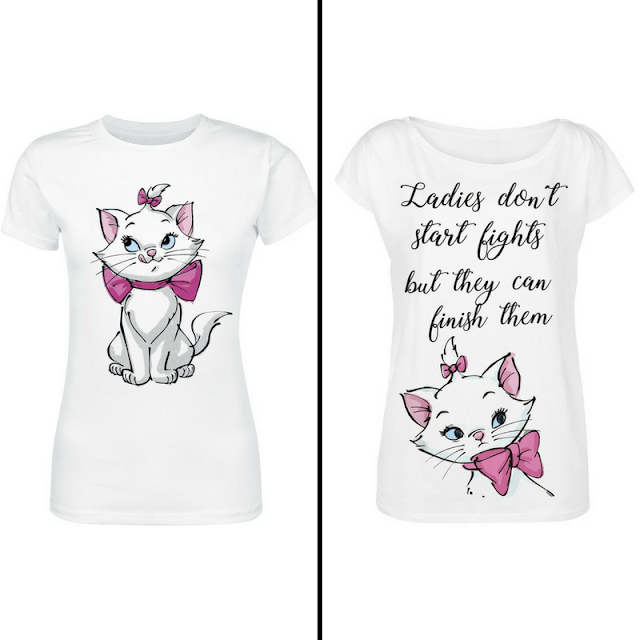 They have so much more on their website so if you're looking for something that's a bit different this yeat check them out and see what you can find! *This post contains a sponsored link, but all words and opinions are my own. 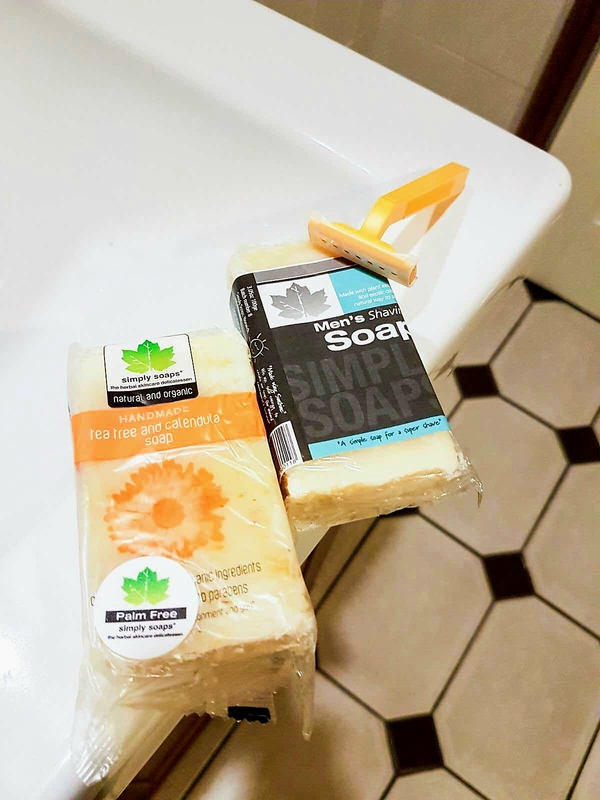 A couple of months ago I was contacted by Simply Soaps and asked to review a couple of their products. As much as I wouldn't classify myself as a beauty or skincare blogger, I can definitely appreciate a good day to day routine starting with some quality soaps - so I was keen to give these a try! 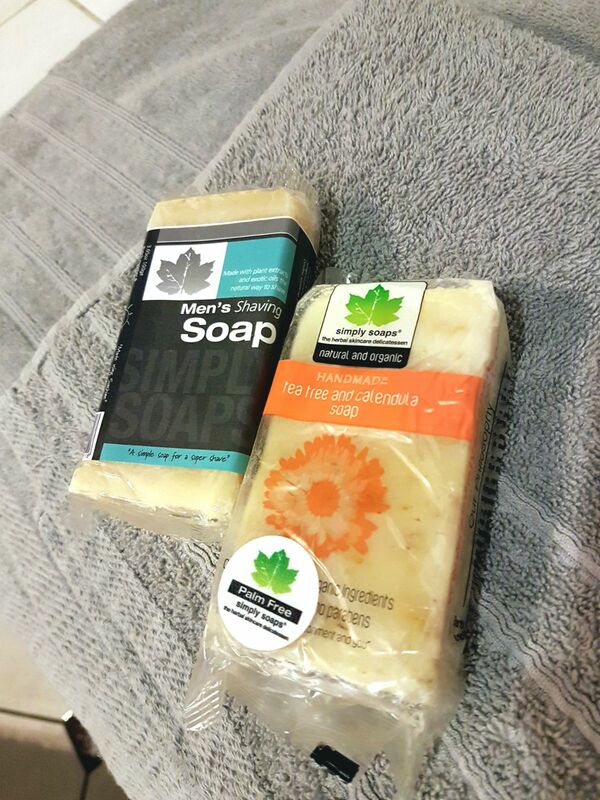 Simply Soaps are a UK based company who make 100% natural and organic soaps and cosmetic products. Although they were founded in 1997, they are in a prime position for what people are looking for even today. With a big call from people to use less chemicalised products, so could be that new addition you've been looking for! Natural Shaving Soap: I'll be the first to say my beard game isn't that strong (if it even exists) but for the few whiskers I have it was nice to try something a bit different! The instructions couldn't be much simpler at all. Slightly wet your face, rub the soap in and shave! I found it worked best to rub it in a circular motion to help it lather a bit more. Don't think you need to be covered in foam for it to work, a little goes a long way! I can say my skin did feel a bit softer than it did with other foams and although not overpowering, it does have quite a nice scent to it! Like I said, my beard game isn't great, but I really enjoyed trying the products and they both smelled absolutely amazing! If you're looking to try something new I'd recommend you check them out. 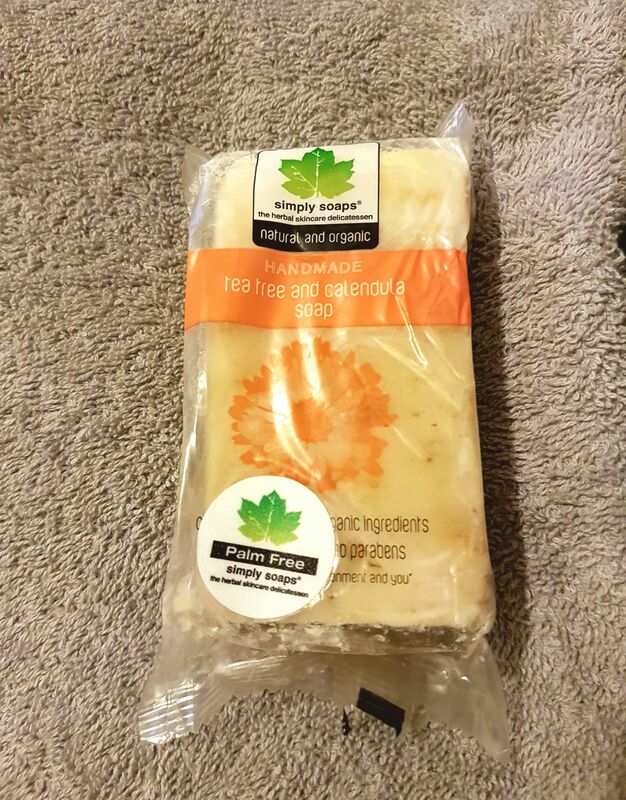 With prices starting at only £2.79, which may be a bit higher than your regular soaps, it's still not a budget breaker and I'm sure will be much better for your skin in the long run! Although I don't suffer from it, another great point to note is that their soaps are made with various skin conditions in mind, with the aim of not irritating these conditions! Have you ever tried any natural and organic products? What would you recommend? 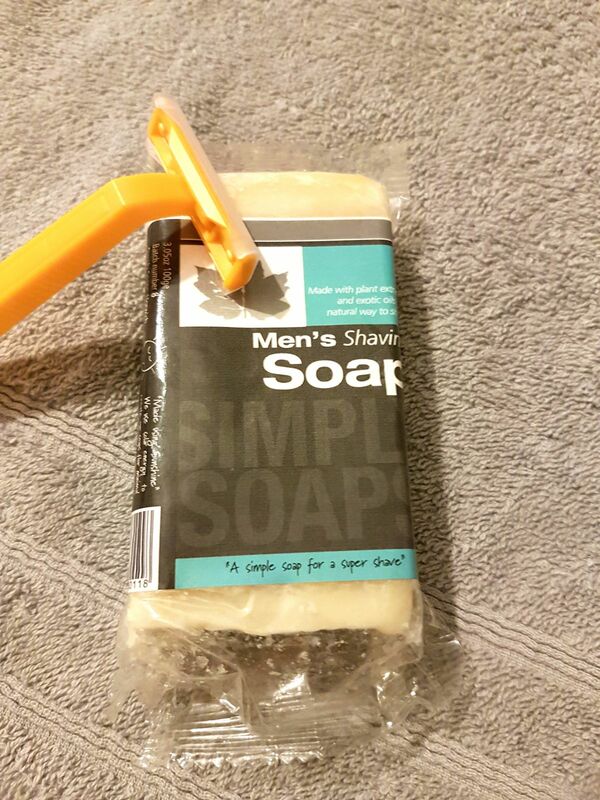 ** This post is in collaboration with Simply Soaps All views are 100% my own. Take a look through my Instagram and you would probably see two main themes... food and beer. Quite a gluttonous theme! Although I luckily don't suffer from gluten intolerance or celiac, my mum actually suffers from the later, so I know how tough it can be for people to find and properly enjoy such things as beer. A couple of months ago I was approached by Celia Lager (see where they get there name from? 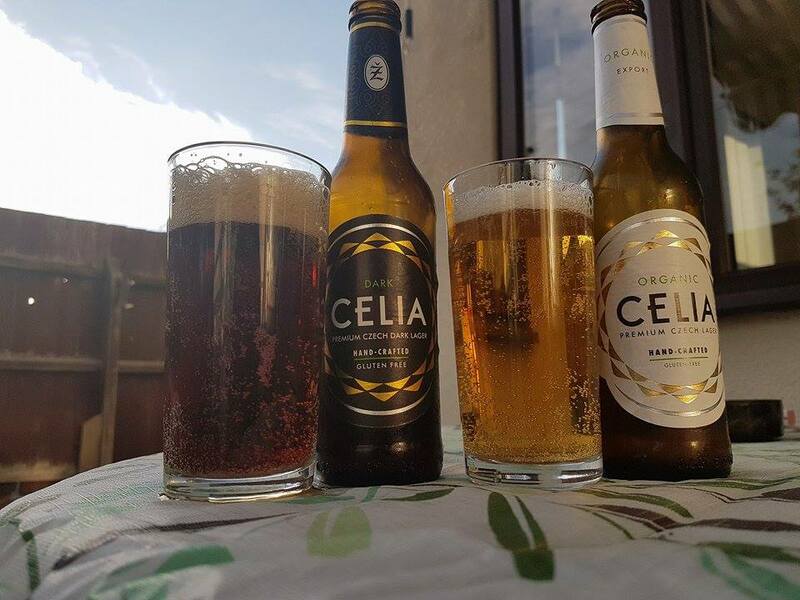 ), a Czech brewing company who brew gluten-free beer, who asked me to review a couple of their beers. Like I said I don't have problems with gluten myself, but I couldn't turn this one down. 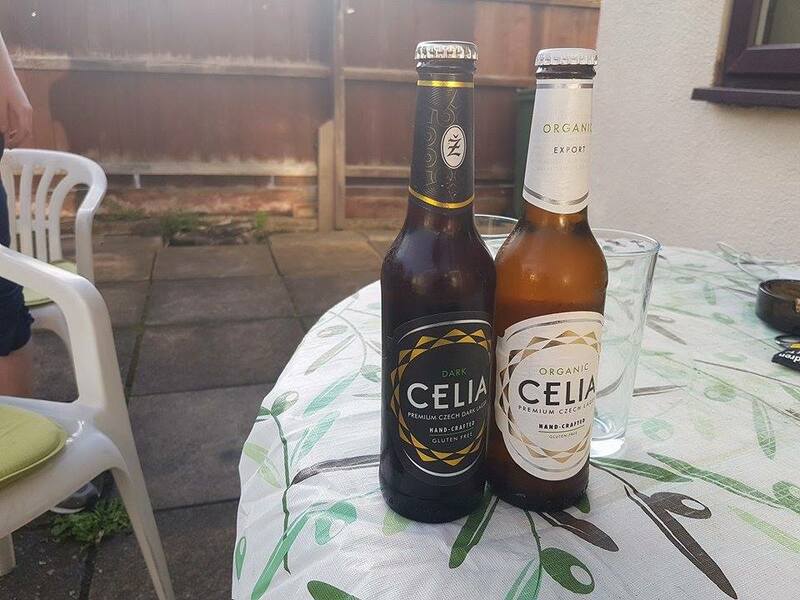 They sent me a bottle of both Celia Dark and Celia Lager, and after chilling in the fridge for a couple of weeks while I was on holiday, I was ready to crack them open! With gluten being quite an important factor in brewing beer I was curious to see how the beers would turn out so I called in my flatmates to help me find out. Firstly, Celia Lager. At 4.5%, it was such a nice, refreshing beer. A slightly citrusy flavour, but not too overpowering, made it really crisp and perfect for summer days in the sun (even if these do feel like a distant memory now). Personally, I quite like dark beers but my flatmates aren't so keen on it so this was an interesting one for them. Quite surprisingly they both really liked it and possibly even preferred it over the lager! With a slightly higher ABV of 5.7%, there are some serious coffee tones and a hint of nuts. I don't think I'd be able to drink several of these in a row but I'd definitely choose it for one if I spotted it in a bar! Overall, the beers were absolutely delicious and I'll be keeping an eye out for them when I'm out and about now (I've already found one pub that sells them!). The lack of gluten in the beers makes them feel slightly lighter and I can imagine less bloated if you're having a few! Find out more about Celia Lager by visiting them here, or check them out on Facebook, Twitter or Instagram! ** This post is in collaboration with Celia LAger. All views are 100% my own. Whether you're jetting off for a relaxing beach holiday or heading to a city break a summer wardrobe is essential. Or, if you're me, traveling between Leicester and Glasgow. 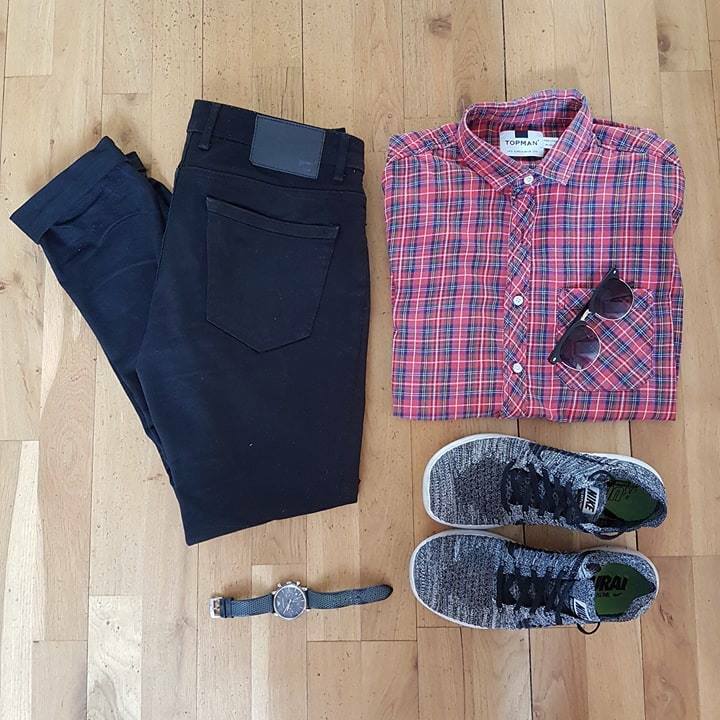 Regardless of your summer plans, having the right outfit on sunny days is a must. Much to my delight, I was contacted by BoohooMAN to pick out some of my favorites from their holiday and festival collections. As someone who hadn't really looked at Boohoo for guys clothing, I was totally taken aback by everything featured in their seasonal collections and was gutted I hadn't looked at them before! After a quick scan, I knew I'd be able to find some fantastic outfits, and I definitely wasn't wrong. If you've had a look through my Instagram before you'll have noticed that plain t-shirts and shirts aren't always my thing... Luckily BoohooMAN had a cracking range of patterned shirts and jackets that I just couldn't resist. One of the first things I noticed when browsing the collections was this bomber jacket. As soon as I clocked it I knew I had to have it. Although it really differs, it kind of reminded me of Ryan Gosling's jacket in the film Drive. My lifestyle is pretty damn far away from his, but the jacket edges me a bit closer... maybe. The jacket itself is really light, making it perfect for days where it's not too hot and not too cold like April 25th. Like I said, I'm a big fan of patterned shirts. I've not consciously been doing it, but I've noticed myself getting a lot of reverse collared shirts recently so this black fan print shirt was the perfect combination for me. The material itself is so soft and light, making the shirt extremely comfortable. I'd personally style it with a plain black t-shirt underneath, which I think helps bring out the boldness of the pattern. It may be a bit jazzy for some, but in my eyes, it's the perfect shirt for a chilled out day down the pub or a big night out on the town. The perfect summer outfit isn't complete without a pair of shades. I've always been a massive fan of Clubmaster style sunglasses. 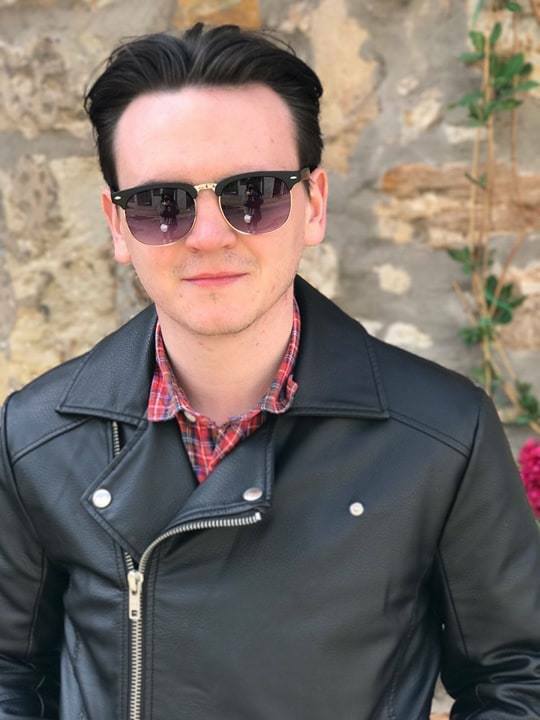 While the original Ray-Bans may be out with my price range at the moment, BoohooMan's version are the perfect substitute pulling any outfit together. So, what do you think of my outfit from BoohooMAN? Would you style it the same or differently? Let me know below! ** This post is in collaboration with BoohooMAN. All views are 100% my own. 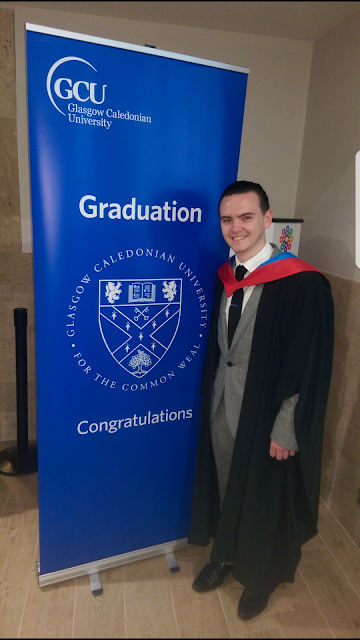 With graduations happening all over my timeline it's had me thinking about my time at uni and how things have changed so much in the last year. I've moved down to Leicester and got a "grown up" job, but it doesn't seem like that long ago I was still just a wee 4th year trying to figure what I wanted to do. Lucky I stayed at home during my 4 years at uni, and even though there may be some elements of the student life I never experienced in halls, I think I was quite lucky to be in a position where I was able to make that decision. Being away from home for the first time can be a scary prospect, especially when you have to consider your finances. I've teamed up to work with the Royal Bank of Scotland to bring you some tips for saving as a student. While some tips are aimed more at students, they will be useful for even those who have now graduated and moved on to bigger things. First things first, as a student you should DEFINITELY open up a student bank account early on. 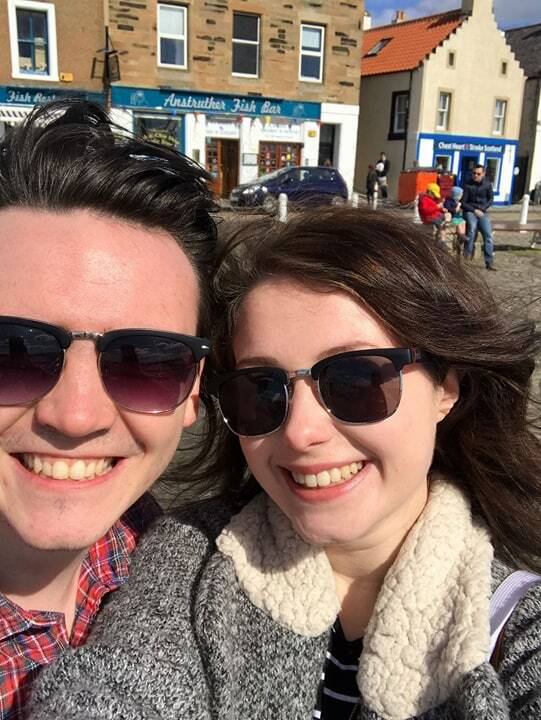 You may already have a current account but student accounts are made with you in mind and often come with some great benefits. One of the big ones is the interest-free overdraft of £500 in your first year and £2000 thereafter. I'm one of the people who will say it, as will many others, that they wouldn't want to be in their overdraft, who would? But they are great in case of last minute emergencies or to tide you over before your wage/student loan comes in. It's important to stay on top of it but it's certainly your friend rather than an enemy. Whether you're living at home or in halls, you can also get a National Express Coachcard that can help you save a small fortune on travel. With 1/3 off standard adult coach fares, it gives you a great opportunity to save money exploring your new city, visiting friends and family, or even travelling throughout the UK. Even better, for the long breaks in between terms, you can even get discounted travel to festivals and in selected European cities, making it the ideal card to have in your back pocket. 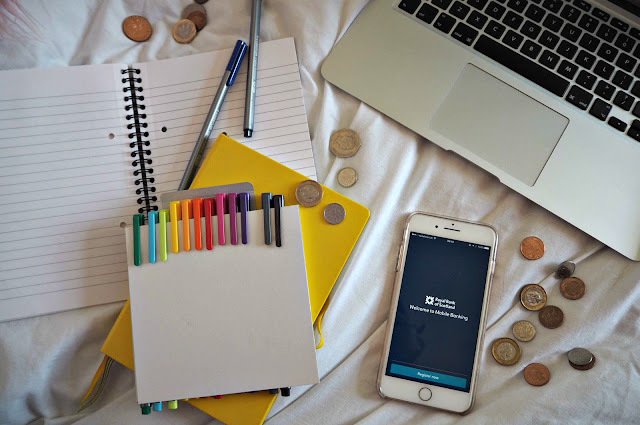 When you have so much on between studying and having a social life, the best way to keep on top of your finances is through the mobile app. Having this on your smartphone means you can access and move money 24/7, but also keep track of how much you're spending and where. You can also set up text alerts to let you know when you are reaching a certain limit. Forgot your card? The Get Cash feature will allow you to get up to £130 via the app up to twice a day meaning that you'll never be left short. Taking out a student account won't make you a money saving guru overnight, it takes time and effort to be able to cut down on that, so what else can you do? Set budgets, but more importantly, stick to them. I struggled at first and sometimes still do with this. Setting aside money for the essentials and the luxury will make it easier to track where your money goes at the end of the month. Again, the Royal Bank of Scotland mobile bank app should make this easier for you. Shop smarter. Pick up loyalty cards, discount cards, buy an own brand or reduced food. There's absolutely nothing wrong with doing any of these and you'll start to notice the saved pounds quickly! It might not suit everyone, but if you have the time to, get a part time job while at uni. You would need to be smarter with your time (but that would be a whole other blog post!). I worked through all 4 years at uni and don't think I'd have enjoyed it nearly as much if I didn't have some form of income. If you're just starting uni or returning for another year, remember to study hard but also enjoy yourself. Uni is a great place to meet new people and begin the next chapter in your life! And it may be easier said than done, but try not to worry about money too much. To find out more about the Royal Bank of Scotland Student Account talk to them on Twitter or read the full benefits here. Over one of the hottest weekends of the year, I paid a visit to York Racecourse. 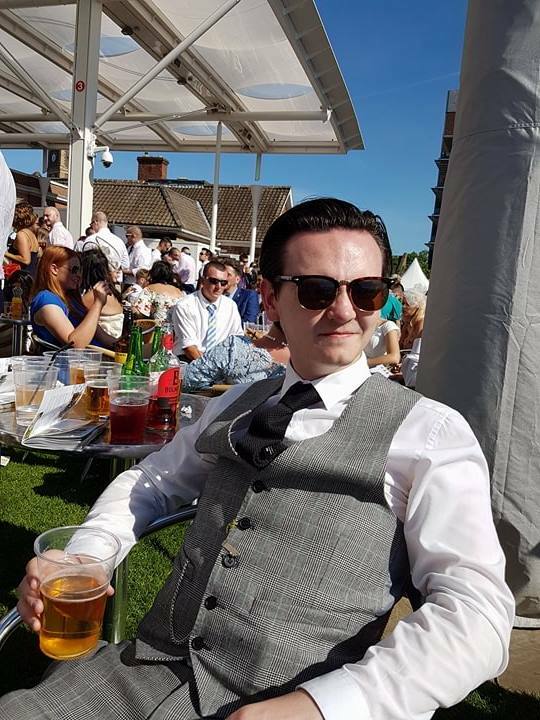 As most guys who've visited the races before, it's effectively an excuse to get suited and booted and sit in the sun drinking beer all day. And that's exactly what happened. It all came around pretty last minute so after rushing home from working, getting my suit organised it was a quick turn around to head to the station to get a train on Friday night rather than early on the Saturday morning. 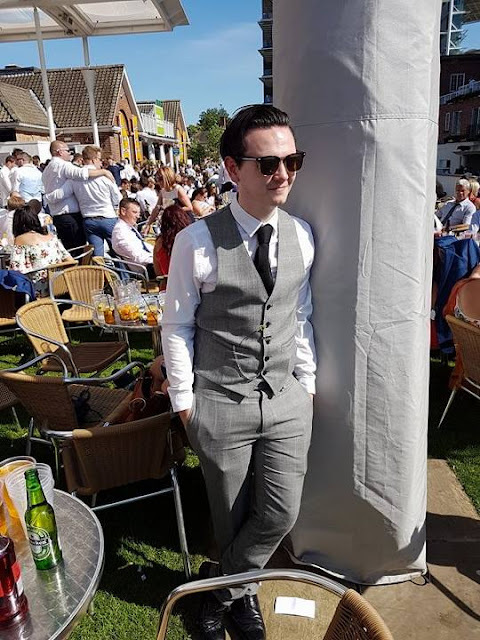 I've visited Ayr Racecourse before but York was something else. With an expected crowd of around 40,000 on one of the hottest days of the year, I was blown away with how well organised and seamless the day panned out. Opting for tickets in the County Stand, it was definitely the place to be given the weather. We arrived early doors and managed to get ourselves an area with plenty of seats for the 18 of us, and a bar within walking distance, we were sorted for the day. 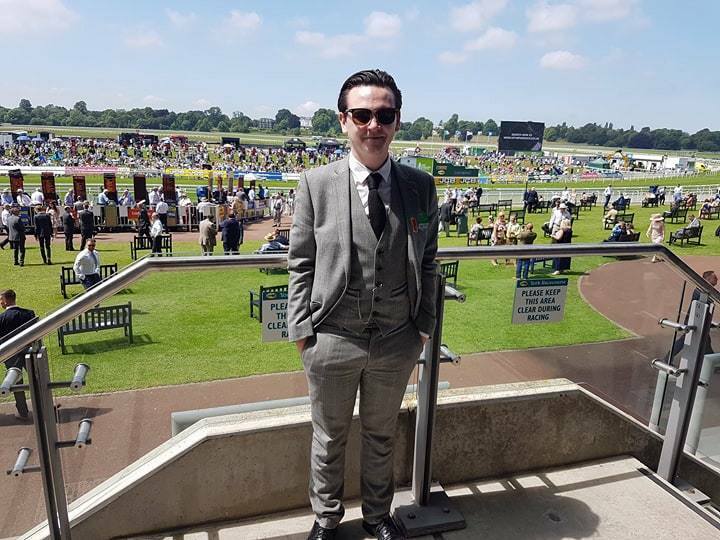 All racecourses have their own dress codes, so it's something to bear in mind if you're visiting that a quick check of the website won't do any harm! Given the area, we were in was a bit fancier than the general grandstand area, it was a jacket and tie affair for us. Luckily, however, given the heat on the day they were a bit more relaxed with the jacket element than usual! 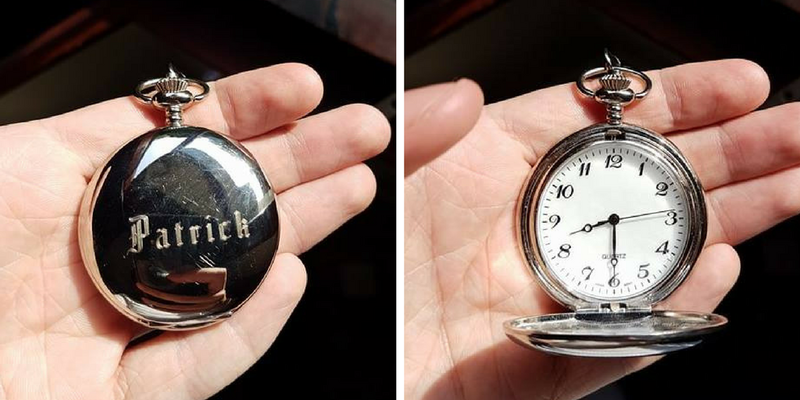 I like to take any excuse to wear the pocket watch I was given years ago when I was a ring bearer at my cousins' wedding. York seemed like a lovely place and I'd love to head back and get to see more of the town and inside the city walls! What do you make of my race day outfit? I'd love to know your thoughts! Dressing for the British summer can be a bit of a hard one sometimes. One minute you can be in soaking up the sun in the park, the next you're diving under a tree to avoid getting soaked by the rain. 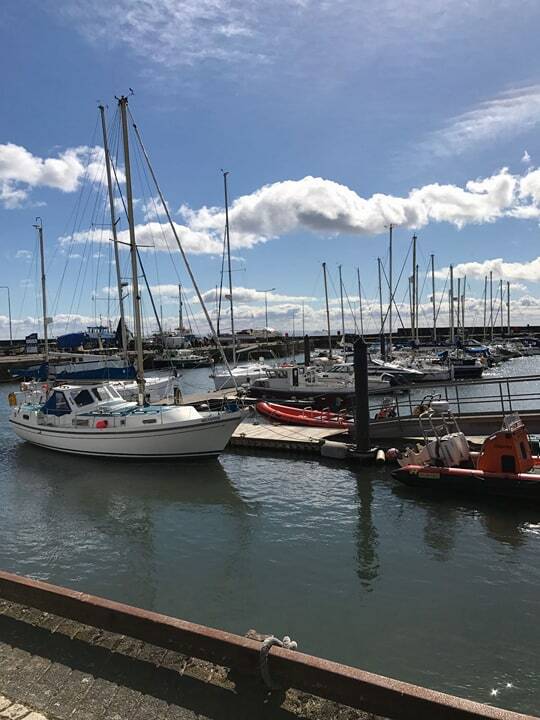 When it comes to the weekend I like to be able to make the most of all the time I have, and that can often mean moving from one plan to the next on a pretty tight schedule! 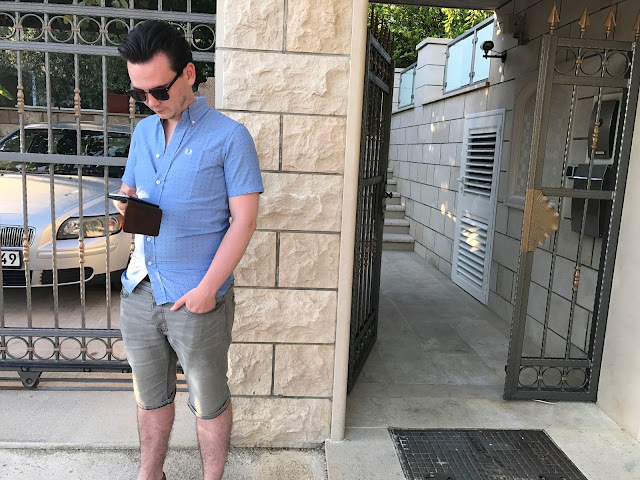 Generally, if I'm doing anything that involves leaving the house I'll opt for the smart casual look and make small changes depending on what my plans are. On one of my visits home in April, Colours & Carousels and I took a trip up the East Fife Coastal route in my new car! I had plans to go out in town later on that night with some friends and knew I'd have a quick turnaround and had to dress ready for the day and night ahead. I looked out a tartan shirt, black skinny jeans, leather jacket, trainers for day and Chelsea boots for night! They've not always been a choice of mines, but I recently came across these mens ripped jeans from the new Manière De Voir collection that I think would go perfect with the leather jacket, something I know I'll be looking at later in the month when I get paid! 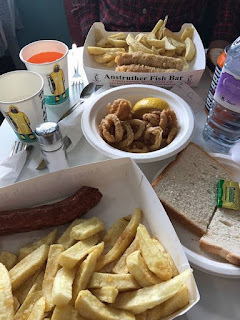 After a day of driving, walking and stuffing our face with the BEST CHIPPY IN SCOTLAND (it was so good!) it was a quick shoe change from trainers to boots and I was back out again. I think it's great how easy it is to go from casual to smart with only a shoe change and you're dressed for any occasion that easy! What's your favourite go-to outfit on days like these!? As someone who considers myself to be quite active and likes to go out a lot, I really spend an awful lot of time in my room and in my bed. As I talked about in my last post, I've recently moved to Leicester for a new job and have had to find myself a new room! I've not quite moved in yet (although I do this weekend) and I've already started planning how to make my new rented room feel a bit more like home! 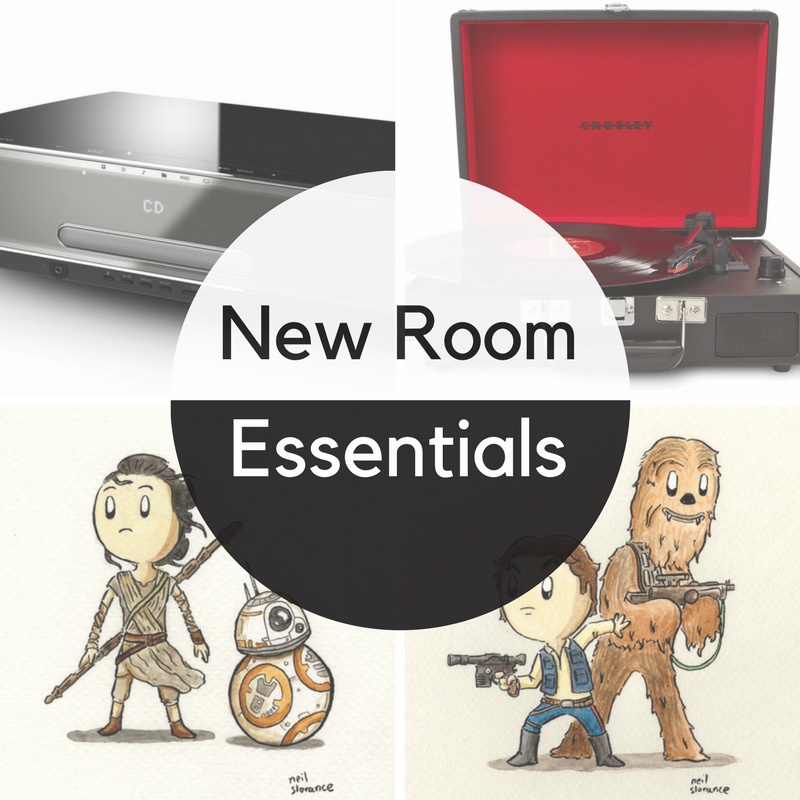 Here are my top 5 essentials I need for my room. Yup. I've been MIA for 2 months and written absolutely no blog posts. Each week I'd tell myself I'd get back into it next week but then something else would come up and before I knew it we were in 2017. 2016 absolutely flew by, and with it being a new year, I thought it would be a good time to revisit one of my first posts The Next Storm (shameless plug) about my goals for 2016. I've had some really exciting changes since November so let's get to them! 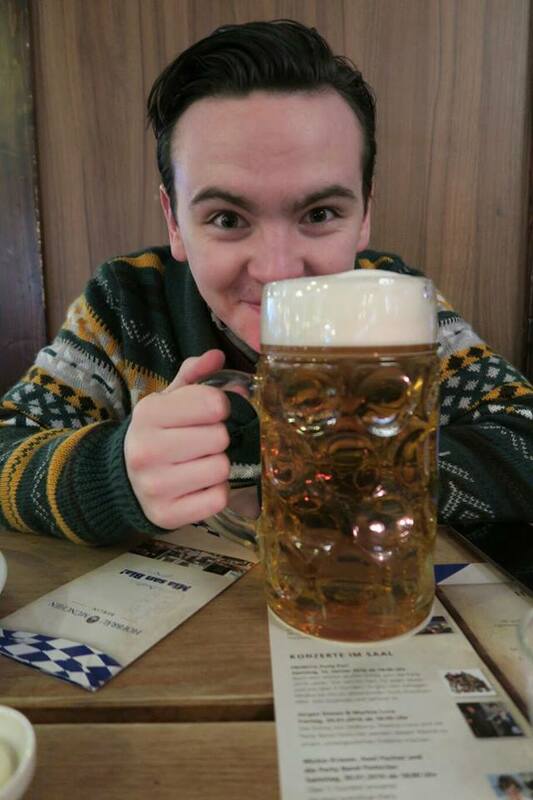 I'm Patrick, I'm a 22 year old guy from Glasgow who enjoys football, games & music. 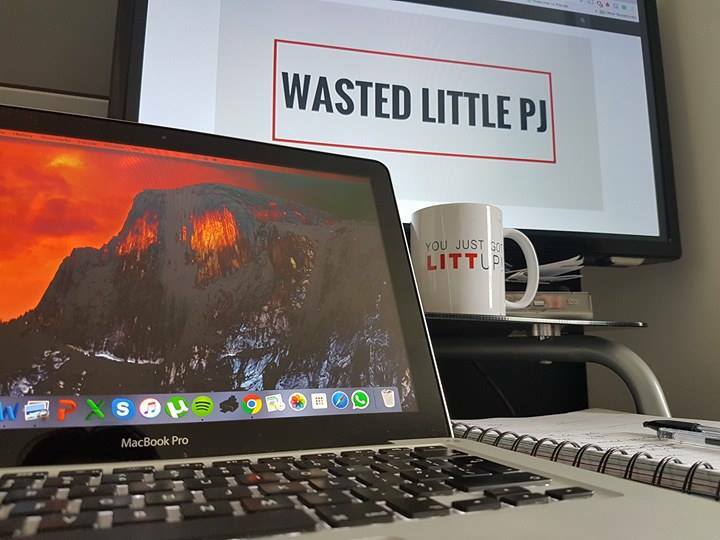 © 2016 Wasted Little PJ | All rights reserved. Powered by Blogger. 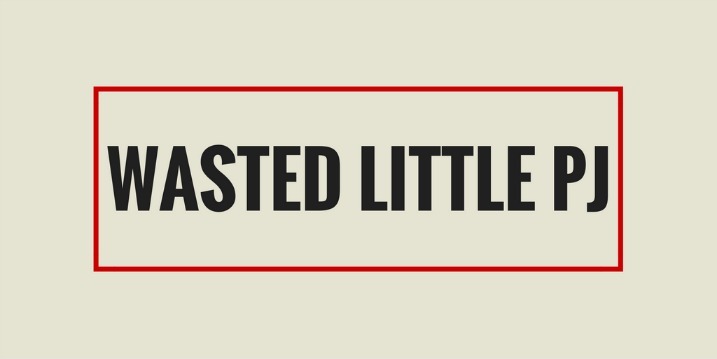 Wasted Little PJ on Twitter!